Deadline reports that Amblin Partners has acquired the rights to turn writer-director Jacob Chase’s horror short, Larry, into a feature-length film. The Picture Company partners Andrew Rona and Alex Heineman will produce. The horror movie will be written and directed by Chase. 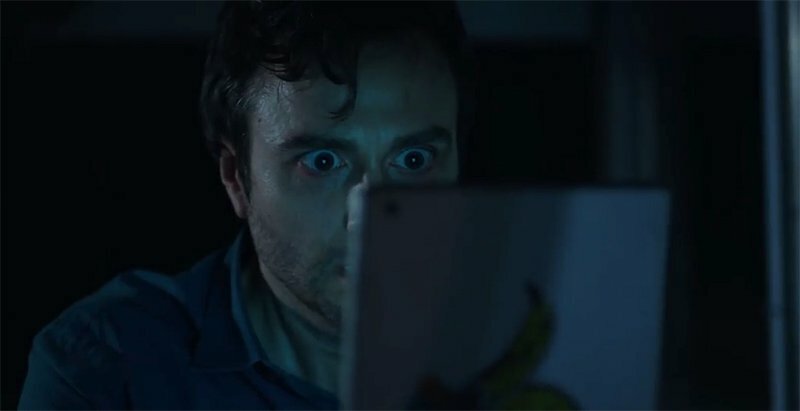 The short (which you can check out below) follows the story of a terrifying monster named Larry, who manifests through hi-tech devices, such as smartphones or tablets. The feature version will borrow this angle while centering the story on a troubled young boy who creates the monster from his own nightmares. The goal is to create a grounded horror film in the same vein as The Ring and Poltergeist. Lights Out and Mama were originally short horror films that became genre feature hits, and the minds behind the Larry feature-length horror film hopes to follow in their footsteps. The project was shopped based on a treatment by Chase and the short film. Paradigm and The Picture Company took it out, and after several suitors expressed interest, Amblin moved quickly to get the exclusive negotiation, closing the deal over the weekend. Chase has also penned a TV project called Harmony, which has a put pilot commitment at ABC. He has also directed other award-winning short films and commercials, as well as having worked with the Jim Henson company on several writing projects. Could this short turned feature-length film become the next horror hit? Let us know what you think!